In October of 2012 Chris Roberts of Wing Commander fame threw his dice into the Kickstarter crowdfunding game with a project he called ‘Star Citizen’. Star Citizen funded at a little over 2 million. Today, the crowdfunding total sits at $17.5 million, and Robert’s Space Industries just rewarded their faithful backers with a ‘Hangar Module’ download where players can not only view but have some interaction with their pledge ships in their very own hangars. 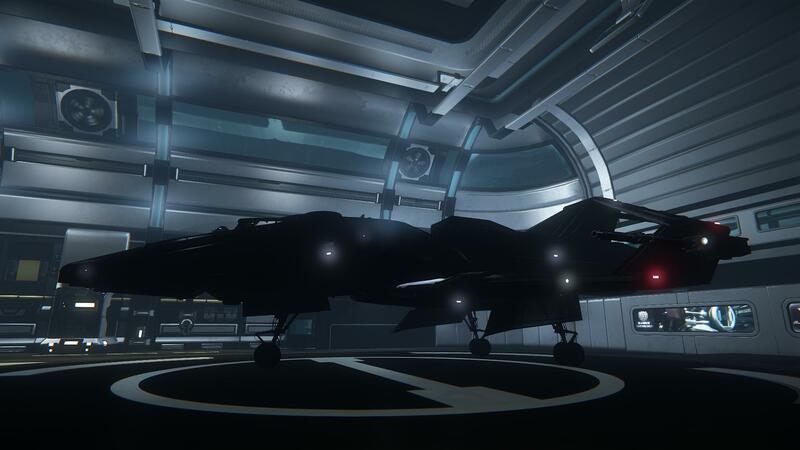 Some ships are still being designed so are not available for preview in the hangar module. 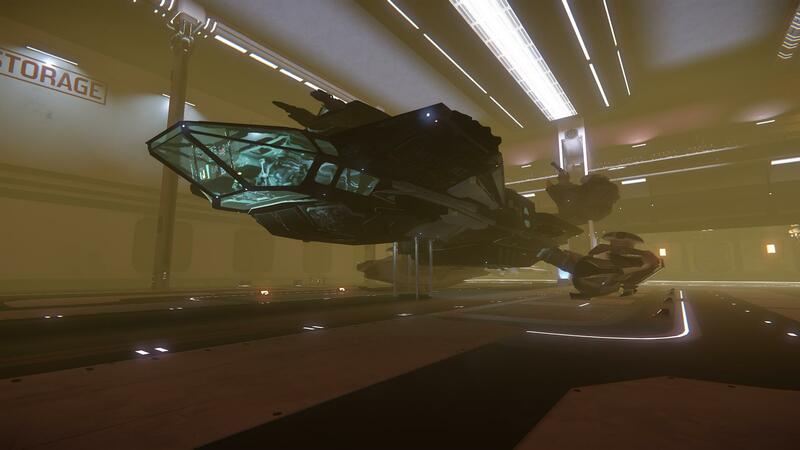 Here is a screenshot of one of Pid’s ships, the Cutlass, that only exists as a model in his hangar. I had posted some images from the hangar reveal which received a lot of attention, so I thought I’d try my hand at taking some in game footage. This is my first attempt at video and narration with no skills in the least, so I apologize in advance. I hope this hangar walkthrough provides some insight into just how incredible Star Citizen is looking to become. The 300i sits in the dark, waiting for it’s moment. 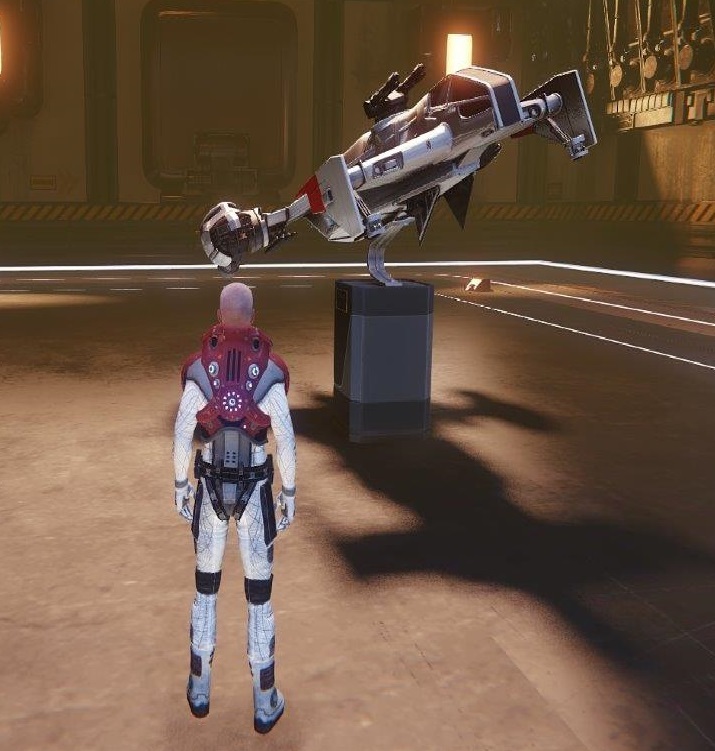 This entry was posted in MMORPG, Online Gaming and tagged Chris Roberts, Roberts Space Industries, Star Citizen. Bookmark the permalink. I have never anticipated a game before like I do this one. I love Chris Roberts’ work and consider Freelancer to be my first real MMO. I am eager to be back in that type of universe again. The ideas, innovation, and Roberts aside, I think the main driver for me is they way it is being funded through kickstarter and now by direct customer pledge and bypassing the publisher. This alone gives me the feeling of a game that is again truly being made by gamers for gamers without having a publisher’s marketing department or bogus focus groups dictating the final product. Chris Roberts and company seem to be very much in touch with what the space sim fans have been wanting, and they also want to have those fans involved from start to finish.